The Clock at St Mary’s is a wonderful old mechanical clock which is still in excellent working order. It dates from 1743 which is 2 years before the 1745 Jacobite Rebellion when Bonnie Prince Charlie decided to rebel against the union with Scotland but was finally defeated at Culloden Moor near Inverness in 1746. We still have copies of some of the original documents relating to the installation of the clock. At one time it had two faces, one of which is still in the present position and one which was on the opposite side of the tower. The clock underwent significant refurbishment in about 1995 when the company who currently maintain it for us took it on. 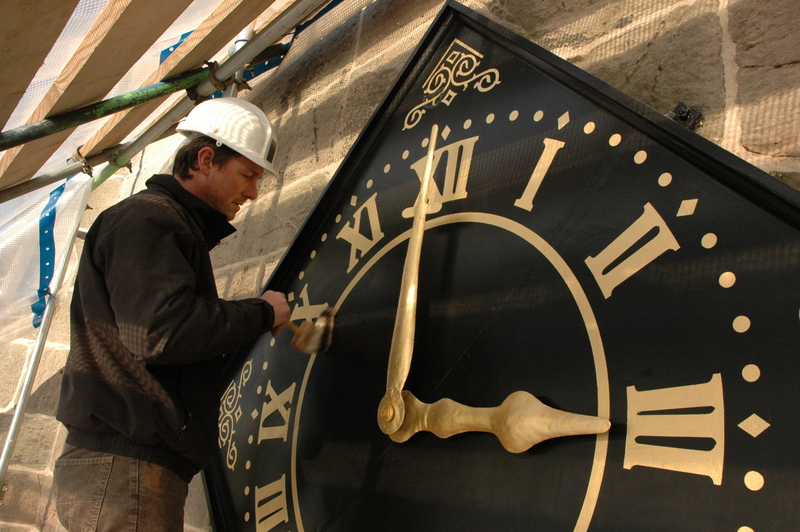 Out of 150 clocks they maintain it is the oldest clock which they work with. 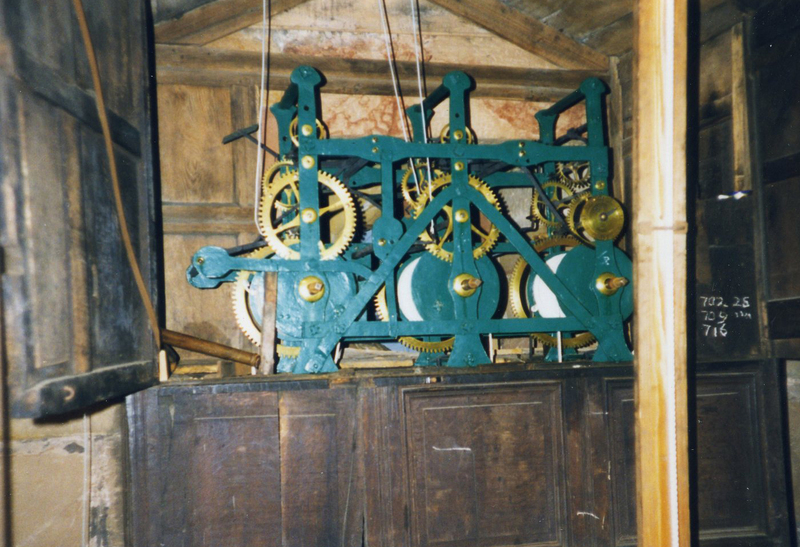 The chimes on the ¼ hour and on the hour still work perfectly and are connected through to the main bells in the tower and they use three different bells. The Bell Ringers need to remember to disconnect the hammer mechanisms before they start ringing! The clock is still manual working on approximately an 8 day cycle. It is wound once a week using a handle similar to that used on a starter motor of the old Model T Ford of 100 years ago! It is a tribute to the industrial heritage of this country and the dedication and love of many generations of parishioners that this wonderful clock is still alive and well keeping time accurately and sounding out its chimes after 268 years – long may it continue.